Our guests are sophisticated and discerning. They relish new experiences and like to return home with new insights and broadened minds. Our journeys are genuine discovery tours for adventurous spirits and explorers at heart. We take our guests to natural wonders and significant cultural sites and provide them with the authentic flavors of local life. On our exclusive tours, we provide fascinating lectures, exciting excursions and delicious local dishes that allow our guests to get a unique insight into the region. Guests receive professional, personalized attention from highly qualified tour guides. 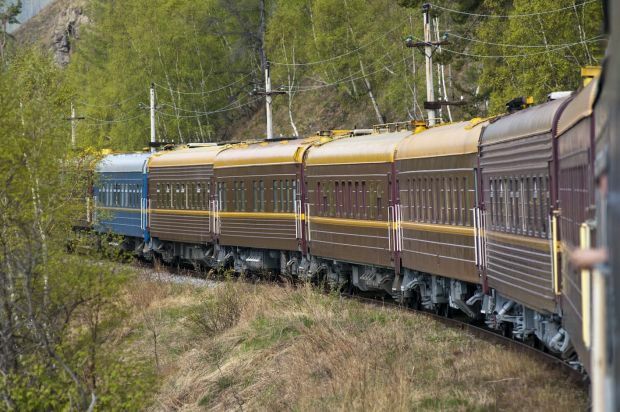 Find the perfect railroad adventure from among our comprehensive range of exclusively chartered private train journeys for groups, incentives and individuals with the world's most excellent tour guides. Our expeditions present classic destinations from a new perspective and venture off the beaten tracks into less familiar terrain. Most of our journeys are tailor-made for small groups, private tour groups and individual travellers, ensuring truly memorable experiences. The great strength and passion of our team lies in creating and organising one-of-a- kind journeys. We take great delight and pride in tailoring travel plans to suit the wishes of our guests and devising unique dream tours. And this is available starting from one individual traveller! Customer satisfaction is so important to us that we have it checked regularly by the German Technical Inspection Association. Determined to raise our already excellent test score, we constantly strive to make our tours even more innovative, to deliver the very best in service and to offer our guests truly memorable, authentic experiences. We add exciting new tours to our programme each season. Our experienced product developers travel all over the world to research and develop innovative journeys. As part of our ongoing mission to optimise the quality of our service, our employees and tour guides regularly attend seminars and training sessions. Thanks to this continued training, they are constantly expanding their knowledge and honing their organisational skills. In addition to our own group tour leaders and guides, we hire local guides to accompany our guests on excursions and visits during our exclusive charter tours. They are familiar with their region, the countryside and the locals and offer our guests fascinating and authentic insights into everyday life.